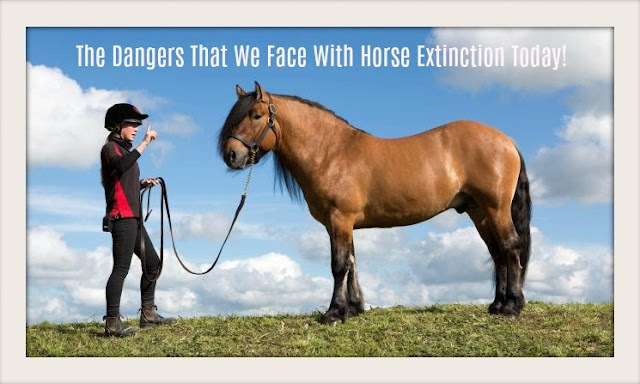 Home / News / The Dangers That We Face With Horse Extinction Today! The Dangers That We Face With Horse Extinction Today! Horses have been one of the most popular and helpful animals for humanity throughout history. Horses have been a companion to man for centuries and have always stood by us as we evolved through the ages and reached technological brilliance. Not only are these animals beautiful and gorgeous to look at, but they are amazing pets as well. Horses have a lot of uses, from being used for transportation purposes, to be used in the military as part of the cavalry. They are also used for sports and other types of entertainment purposes. However, despite all of these horses have been suffering neglect for a long time now, and today it is almost a certain possibility that horses may become extinct. In this article, you will learn about the possibility of certain breeds of horses becoming completely extinct. In case you get asked to name some animals which are currently endangered today, then will you be able to name any? The chances are that you will name some animals like a giant panda, a Siberian tiger, a mountain gorilla or even a black horned rhinoceros. But these are the most widely known endangered species of animals in the world. The thought about horses going extinct will probably not come across your mind. We hear of so many people talk and give lectures about unwanted horses overpopulating farms inside the United States. We hear that there has been too much excessive breeding, and as a result of this, it might seem to be a ridiculous idea to even think about the notion that horses can go extinct. However, there are currently 14 special breeds of horses which have been put on a critical list. In 2019, three more breeds will be moving in that category. This is not a joke and is a real situation. There have been many non-profit organizations and animal welfare units in the United States, which have come forward with demands for novel and new innovative and scientific methods for conserving horses. Currently, these organizations help in protecting almost 200 different breeds of various livestock animals and farm poultry from going extinct. Scientific researchers and Animal Conservation experts have tracked the population of horses for almost about forty-five years. They have a solid and good idea about what the status of the various horse breeds is. They know the extent to which these horse breeds are endangered. These experts have also been successful in saving a lot of different breeds from going extinct in the last few decades. The past few years have been immensely difficult for a lot of different rare breeds of horses. Conversation experts feel that it is a lot simpler and easier to get massive public support to help preserve exotic animals like giant pandas, or even the Siberian tigers. But it is more difficult to do this for the humble horses like the Shire or the Icelandic Ponies. But in spite of all these, we have many conservation experts who are working really hard day and night to not only preserve rare horse species but also look after varieties of a donkey, goats, pigs, cattle, sheep, rabbits, poultries and so on from becoming extinct. What will make an animal go extinct? It is possible that you might wonder how any particular breed suddenly goes into the list of endangered animals. There are a lot of different conservation agencies which monitor the populations of different livestock animals. This is done through their specific breed associations. These conservation agencies request to get data registrations every year, and then they examine the indicators of their active breeding populations. After this, every breed will get a certain specific designation which is one of these: the Critical, the Threatened, Kept Under Watch, the Recovering and lastly, the Study. •	Critical: These are animals which lower than 200 registrations annually in the United States and their global population is estimated to be less than 2000. •	Threatened: These are animals which have registrations lower than one thousand annually in the United States. Their global population is estimated to be less than 5,000. •	Watch: These are animals which lower than two thousand five hundred registrations annually in the United States. The global population of these breeds is lower than one thousand. •	Recovering: These are breeds which were once present in an endangered list, but now they have increased in their numbers. However, they still require to be monitored. •	Study: These are breeds that require to be studied more strictly. They do lack in historical documentation and general definition, so they have to be studied. What are some endangered horse breeds? Some of the horse breeds which are categorized as being critical currently will include the Caspian horse breed, the American Cream breed, the Cleveland Bay horses, the Hackney horse breed, the Newfoundland Ponies, The Suffolk, and the Shire. Morgan Traditional horses are also in danger of going extinct. The Spanish colonial breeds like the banker, the Florida Cracker, the Marsh Tacky, the Choctaw, the Santa Cruz and the Wilbur Cruce are also some of the prime endangered horse breeds. The Conservation agencies have added three other breeds in the critical list in 2019; these are the Dales Pony, the Canadian horse breed and the Galicenos. If you want to know more about endangered horse breeds and what you can do to help, then you must visit TVG. You can do a lot of things to promote conservation efforts. You can provide personal donations, and also spread out awareness amongst people about these issues. Horses are beautiful animals. But they need to be taken care of satisfactorily. In the last several years, neglect and lack of awareness have resulted in the possibility of having a lot of different breeds of horses go extinct. This needs to be stopped with wider conservation efforts. Hopefully, the information mentioned in this article will have helped you.